If you are a blogger then there is a good news to you all blogger. Hope you have notice the new look of the Blogger HTML Editor. 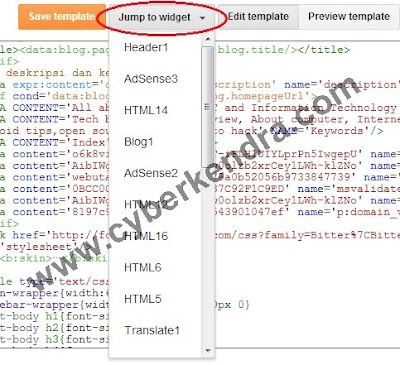 As Google update its products time to time, now they ahve bring a new looks to blogger HTML Editor. Today after log-in to my blogger account I have seen a new look of HTML Editor. This is awesome. This surely going to help to the users who are new to the blogger. The Editor part of the blogger is very much different from older one. This new look have come up with the four new features to make you experience the better. What ever you do with your blog interface, you can do with the HTML Editor. Some time it makes hard to find the code, links or some missing elements on the older version of the editor. Syntax Highlighting:- As you see some color on your code while coding, this is as simple as that. This will highlights the different objects with different color on your source code. This helps to easy to understand and navigate to the other objects or syntax on your source code. Line Numbering:- As you can see in the image that there are a number before each line. This will help much much more easier to spot errors and keep track of your code. Code Folding:- This also a great feature that have come up with new interface of HTML Editor. This make your code much clean. Once you done with your code then you can fold the code and won't have to look the huge chunk of the codes. You can see on the above image (►) sign, at line 51. At line 51 the whole code is folded into that. you can see that at line 51 it directly showing line 264. There are numbers of lines of code between 51 to 263, and all this code is simply folded. This prevents you from scrolling down and searching whole the source. Jump To Widget:- There are many widget on your template source code and you want to edit that. This is pretty difficult on the older version of the editor. You have to scroll down to find a particular widgets. But now this makes you much easier. New version have come with a new tab called 'Jump To Widget". This will lets you to go any of the widget directly without scrolling till down. You can see at the top of the editor the Jump to Widget tab and after clicking on the drop-down menu, you can directly navigate to the particular widget section.